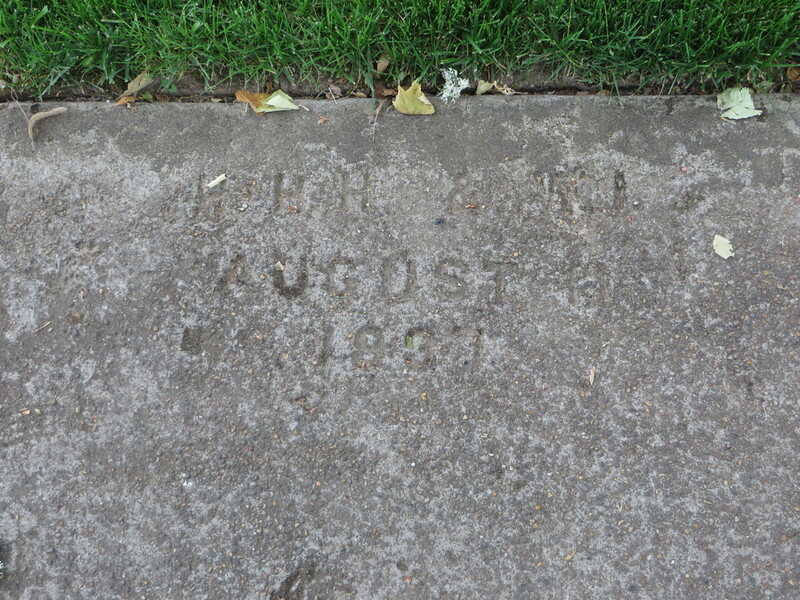 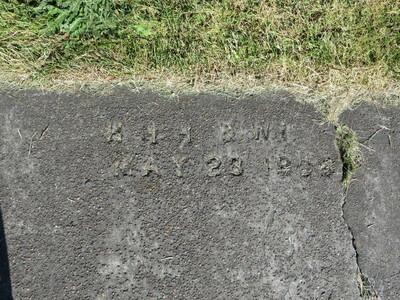 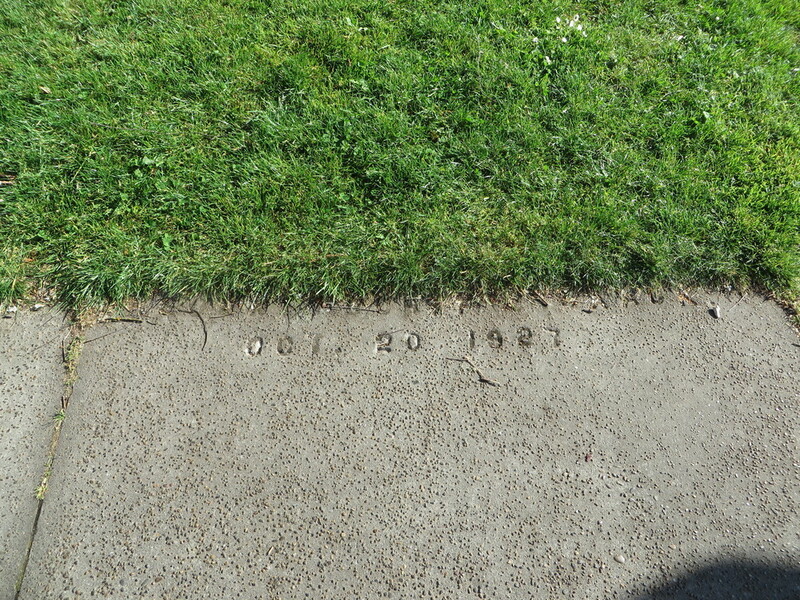 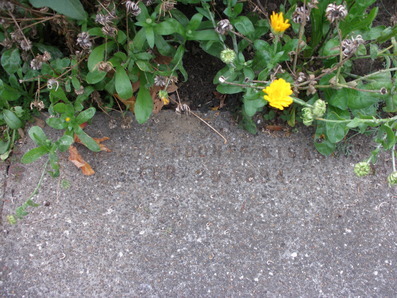 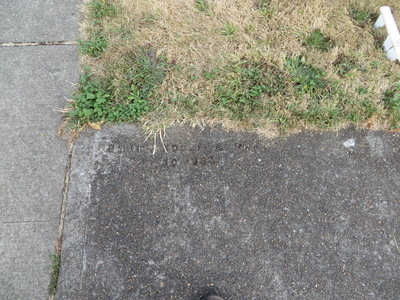 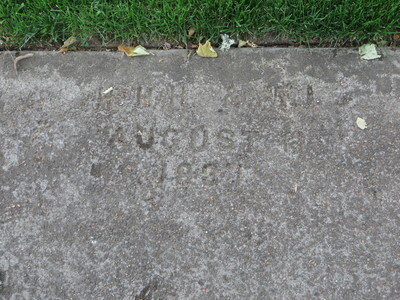 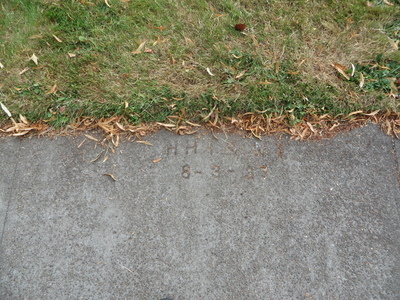 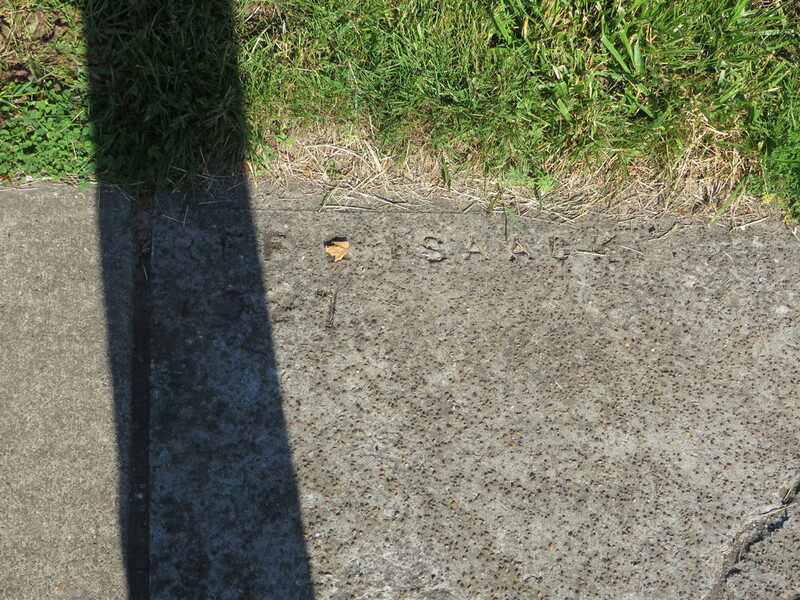 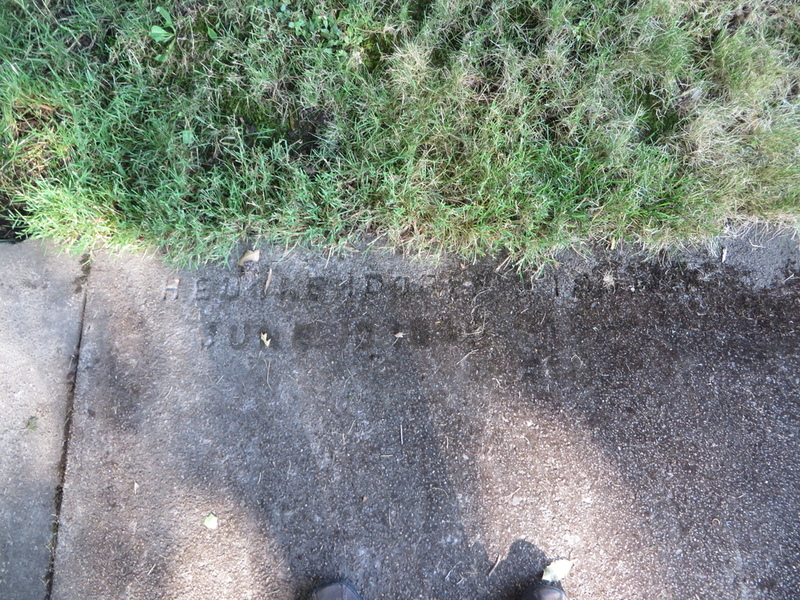 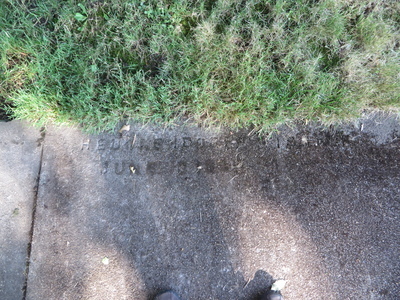 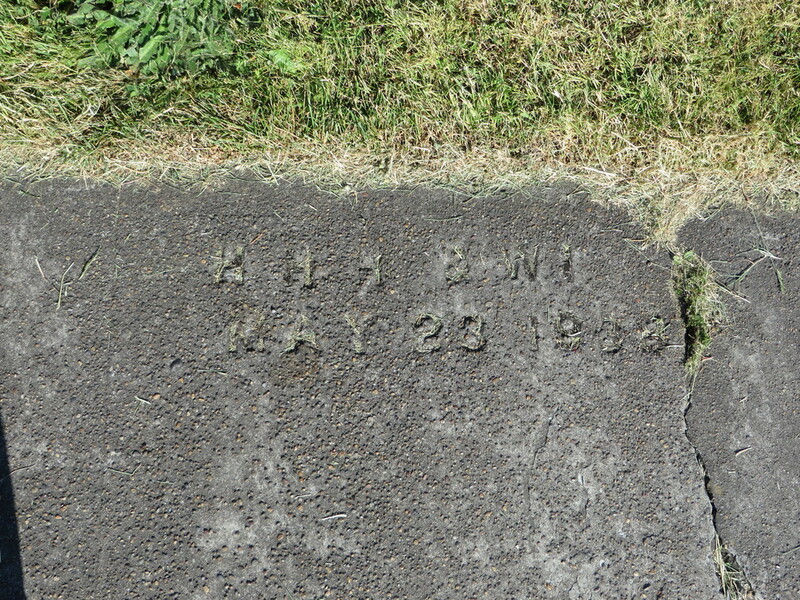 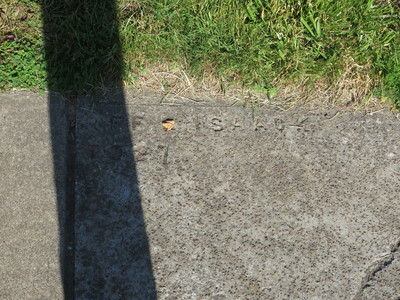 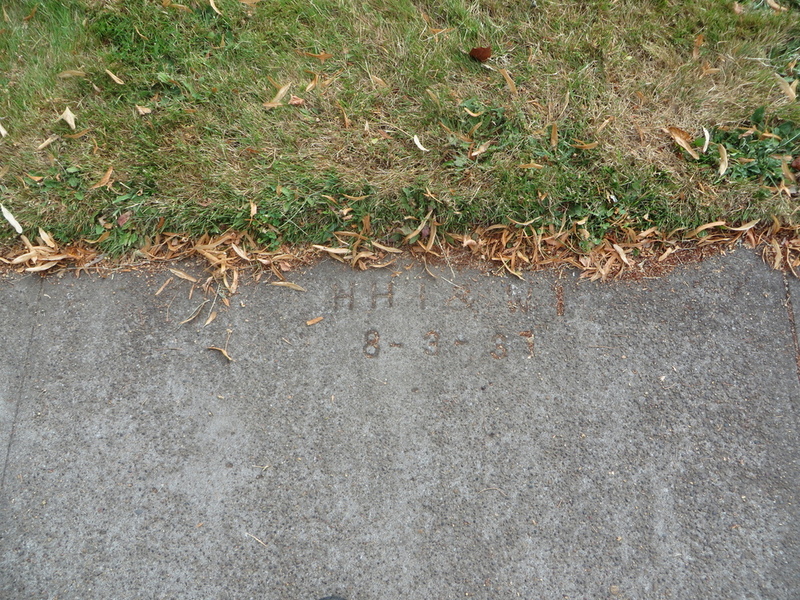 Isaack was a contractor who did sidewalk work between 1927 and 1935. 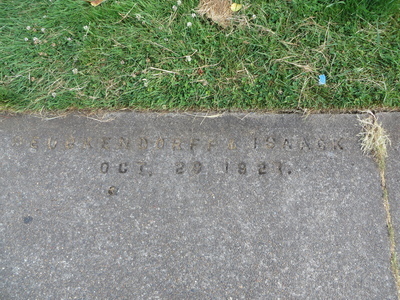 He typically worked with H. H. Heuckendorf. 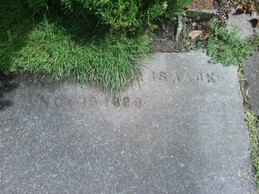 Sometimes his name is abbreviated to WI for William Isaack. 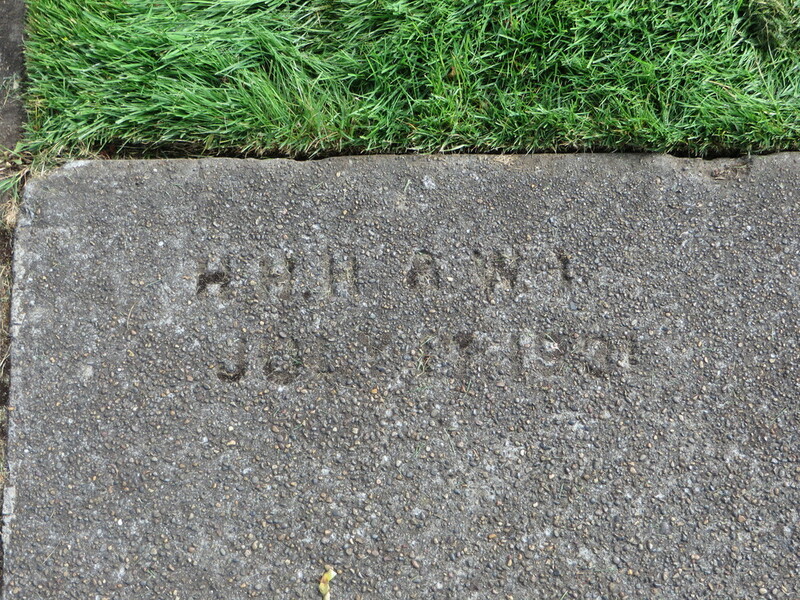 Heavy moss cover. 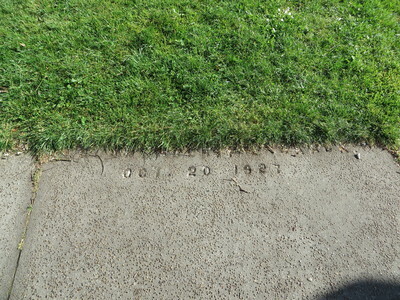 The date could easily be wrong. 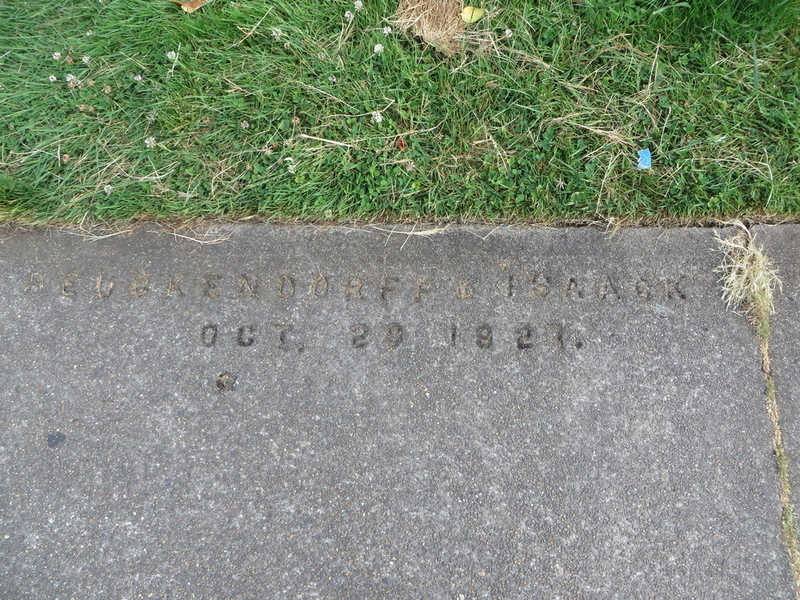 HEUCKENDORFF & ISAACK OCT. 29 1927. 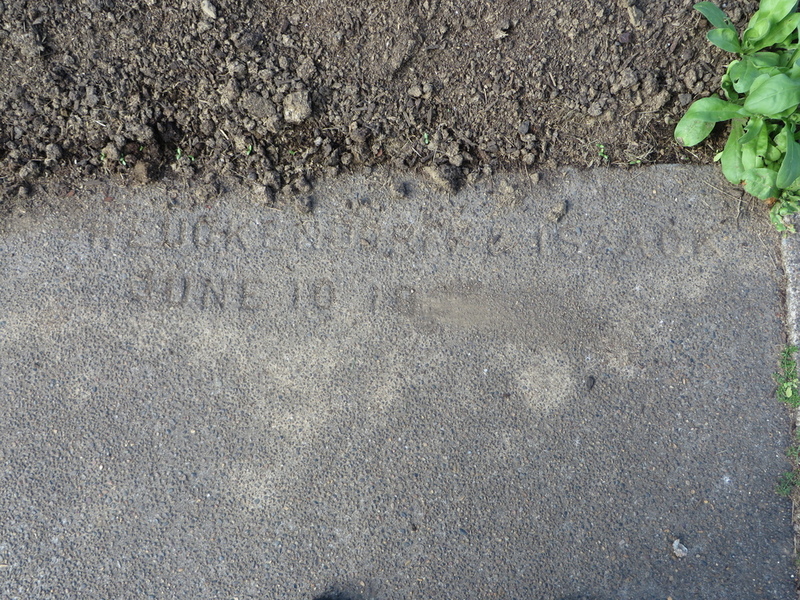 Covered with dirt right now. 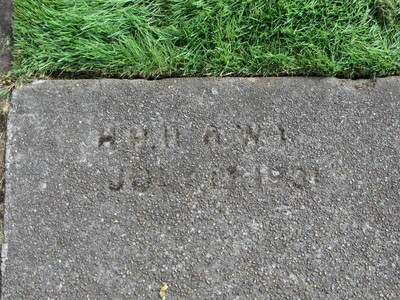 This should be on 12th St.